The Logan Neighborhood comprises the residential area just north of Gonzaga University in central Spokane located in the University District. There are two campuses northeast of downtown, Gonzaga University, and the Riverpoint Campus, which contains branches of Washington State and Eastern Washington Universities, as well as an extension of the University of Washington medical school. Projections for the coming years call for an increasing student population, which means that finding a home in this neighborhood can be competitive, especially during the summer months. Logan is comprised of lush canopies of overarching trees, wide streets, three major retirement centers, and four parks. The roads have very little traffic during the evening time allowing for great bike riding opportunities during the summer and fall months. Neighbors are typically welcoming and pleasant to interact with and you may even get an invite out to a summer bonfire, as these are common amongst college students and families alike. The culture of this neighborhood is alive and healthy with a young, up-and-coming population of young professionals. The median sales price for homes in Logan for February 14 to May 14 was $112,500 based on 10 sales. Compared to the same period one year ago, the median sales price increased 24.6%, or $22,220 according to Trulia. This shows that the area is gaining popularity and could be a worthy place to spend your dollars. Hamilton Street Business District borders the Logan neighborhood to the East, providing ample grocery shopping, coffee stops, and eateries for residents. Chairs Public House is a local favorite where you can grab food, organic fair trade coffee, drinks, and play a few rounds of trivia on Friday nights. If you’re looking for an upscale date night restaurant, Clover fits the bill nicely with its cozy nooks, sumptuous wine collection, and first-rate service. 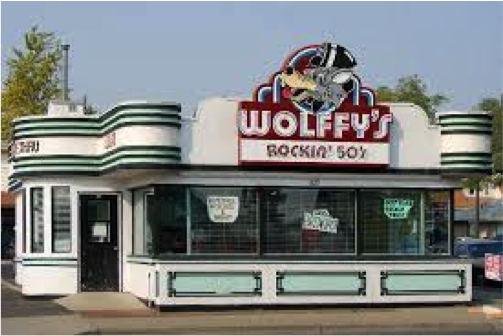 Other places you might check out are the legendary Jack & Dan’s, Pete’s Pizza, Chapala, and the historic Wolffy’s.